I just wanted to drop in this weekend to tell all of you lovely people about something super ADORABLE!... 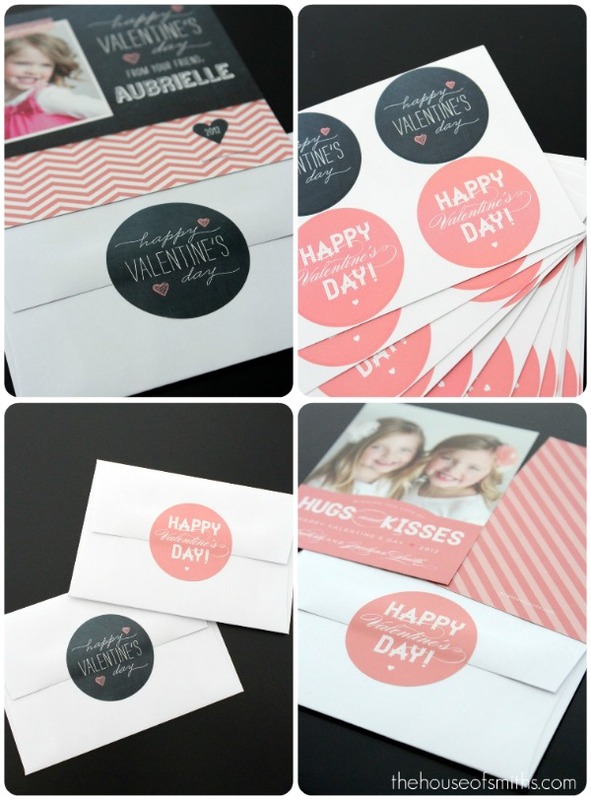 Mini Custom Valentine's Day cards and labels for your kiddos from Brightside Prints! Honestly... could these designs be any sweeter!? I knew I wanted the girls' pictures on their Valentine's Day cards this year, because those were always MY favorite in Elementary school to get, and so I snapped a few poses of them last week and sent them off to Jill. 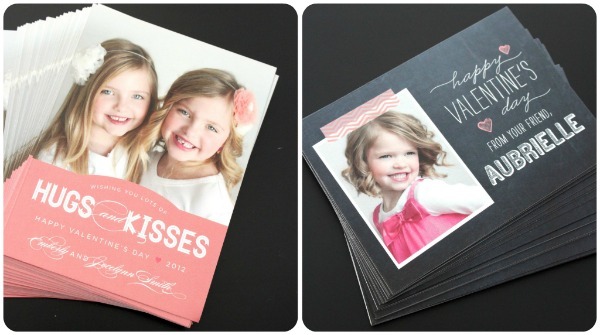 She worked wonders with the color matching and placing the photos just right....And yes, all Brightside Print orders include complimentary printing on the backs of each card. I love that! The girls were THRILLED when they saw their little Valentine's come in the mail. They're already listing off all of their friends who they want to give them to, and writing little love notes on the backs of the "special ones". ha! 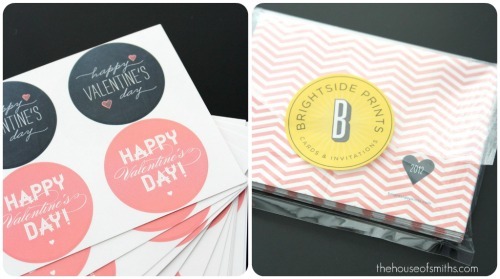 You've GOT to jump over to Brightside Prints to see all of the different Valentine's Day mini or full size card designs. I promise you'll love them! I'll be totally honest and say that I don't really trust anybody else with my custom cards, announcements or invitations other then Jill and her team. Their designs are trendy yet classic and my products always come super quick! * If you order before the 7th of February you can guarantee to have your cards before Valentine's Day. * Use the code "SMITHS" at check out, and you can get 10% off of your entire order. * Become a fan of Brightside Prints on Facebook and get an additional 10 cards FREE! 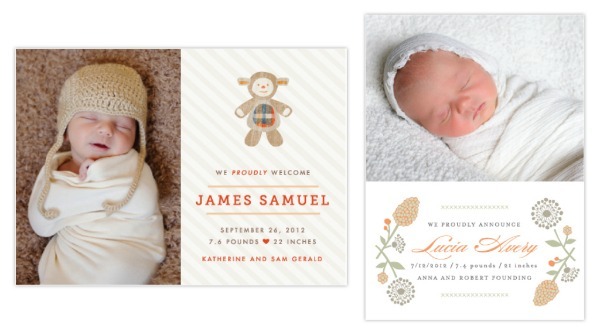 Jill gave me a sneak peek into some new baby announcements that they'll be adding this week. Oh my gosh, I Die. Totally amazing. Um those are A-dorable! Can't wait to have kiddos to do fun stuff like this. I checked out their website and love their work!! I'll keep them in mind for future showers & Christmas cards. Those are some of the most adorable Valentines I have ever seen! I especially LOVE the ones your daughter will be giving out to her friends. Thanks for the new resource! Love them!! Going to see if I can order some in time for me to mail off! Thanks for sharing !! These are so cute! I may have to order these tomorrow! Your girls are beautiful! I I love Bright Side prints also. I saw your daughters birthday cards and I am hooked. I got our Christmas cards there. They were fab. Thanks for sharing. Those are just the cutest Valentines I have ever seen! I was going to buy the typical boxed Valentines from the store, but these will be so much more fun! Very, very cute! The cards, the girls, and the name Aubrielle. I want to have another baby just to name it and get some cute announcements made. I already have six, so not actually going to happen. But it's SO FUN!